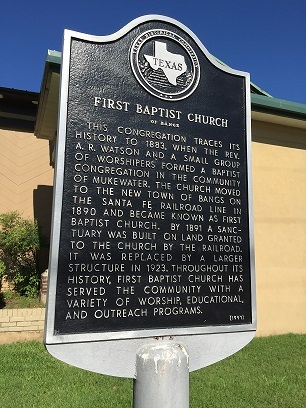 First Baptist Bangs is a dynamic fellowship empowered by the Holy Spirit to share Christ and His love with people locally and throughout the world. We seek to worship the Lord and respond in obedience to His leadership. Believing the Bible to be authoritative and inspired, we preach and teach God’s Word as the “words of life” so that people will encounter Jesus Christ and grow in the knowledge of God.